has been revealed, featuring a better processor, USB-C (instead of Micro USB), and more RAM at 4GB (up from 3GB). The updated version also features a Qualcomm Snapdragon 630 processor, whereas the original had a Snapdragon 430 processor. The changes bring it from more of a low-end to a midrange device, while the price is still the same (around $230), so it’s a nice upgrade. There are options for 32GB or 64GB of storage, which is expandable via microSD up to 128GB. Nokia says the USB-C charger also delivers up to 50 percent power in 30 minutes. It ships with Android Nougat 7.1.1, with support for Android Oreo to come. The new Nokia 6 is currently available for preorder for ¥1,499 in China (about $230) for the 32GB model, but there’s no indication about if and when it will be released in other markets. 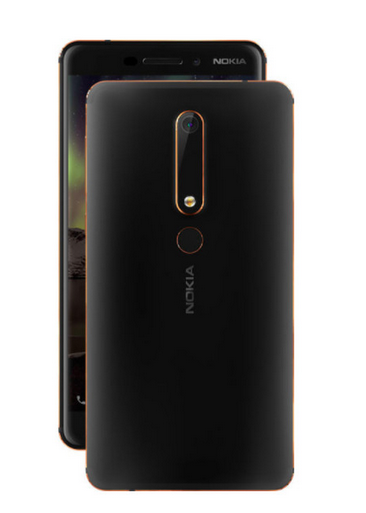 HMD Global, which makes Nokia phones, usually launches products in China before bringing them to Europe and the US a few months later.